KUKE – Empower your iPhone Beyond the Limits | OhGizmo! By Gadget Flow on 01/13/16 • Leave a comment! 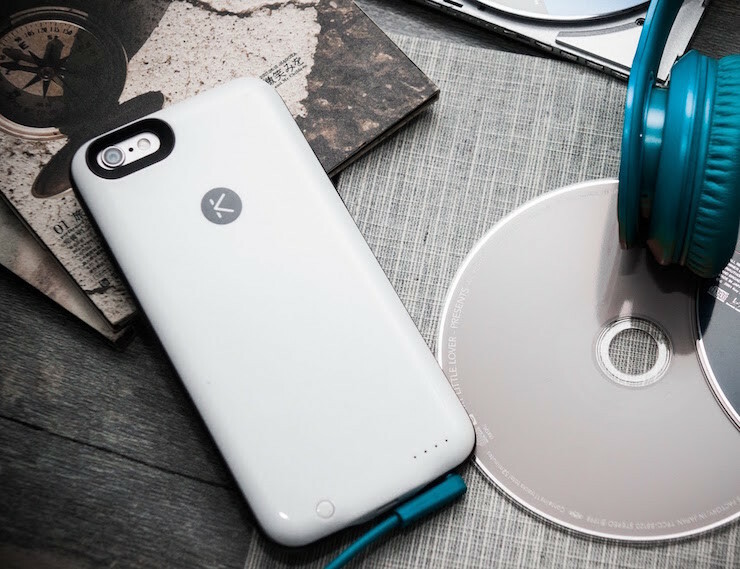 KUKE is one of the only smart battery cases on the market to provide both extra storage and battery without all the bulk. Running out of battery and storage space is a notoriously common problem with iPhones. KUKE provides the simplest and most efficient possible solution to this problem for the iPhone 6/6s (Plus). It is a revolutionary case that takes the place of a powerbank, an iStick, and a protection case all in one design with up to 70% extra battery life as well as up to 64G of extra storage. KUKE’s other advantage lays in it’s innovative design that provides all of these features without the extra bulk. At 11mm, KUKE is thinner than both the Apple Smart Battery Case (14.79mm) and the Mophie (16.8mm).